This project models the research gathering, note-taking and writing processes in a series of steps or phases and culminates in a short, documented essay. Designed to be taught/learned in five or six class meetings. Note: Since the article is published in Education Week, it may not be available after 2012, in which case we can re-read it here. 1] The Wordle: Consider the vocabulary from the article by viewing the wordle, which is a word jumble. For ten minutes freewrite on these words. Write about the words that you are already familiar with and about what you hope to learn in the article about the other terms. On note paper or a Word document, list the words you do not already know, and leave space for their definitions. 2] While reading, define those vocabulary words on your list as they are meant in the context of the article when you encounter them. Look them up in a dictionary if you are uncertain what they mean from context clues in the article. 3] On a separate note page or Word document, answer the following article analysis questions, after reading, in order to prepare for a) class discussion, b) writing an article summary, and c) using this information in your next essay. Note: Answer the questions in your own words because you will be using those sentences later in a paragraph. If you do this after reading, when the source is closed, there is no risk of plagiarizing. Where you cannot answer the questions from memory, go back to re-read that part of the article. Putting the information in your own words to use in your essay is a research writing skill that is called paraphrasing. On the average, how many types of media do 13- to 18-year-olds use simultaneously outside of school? Does the article give examples? What is the result of the tendency “to pay continuous partial attention” to everything? According to researchers cited in the article, can the brain “be in two places at once”? 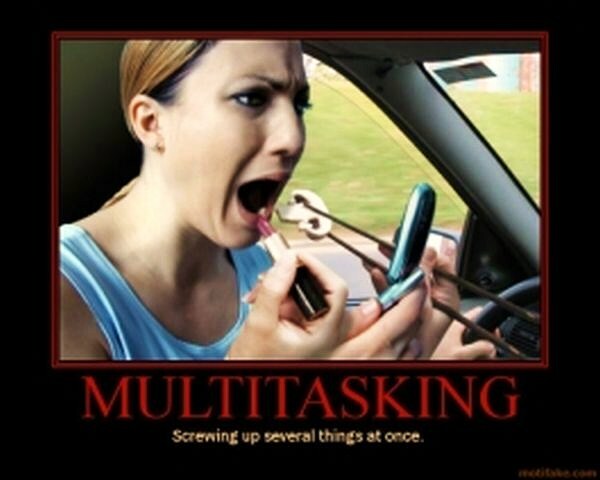 Does it take longer to “multitask” than it would take to do two individual tasks one after the other? How does having to make a choice affect “multitasking”? How do multitaskers perform on memory and attention tests compared to those who do one thing at a time? How do text messages affect scores when testers answer text messages? What is the affect on a reader’s attention when reading is interrupted to take a phone call, email, or text message? What did the original “marshmallow test” show? Did researchers find similar results when test-takers responded to text messages, or did that research refute the “marshmallow test” results? 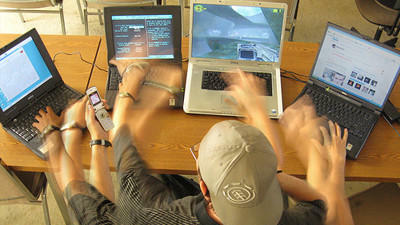 Your thoughts about the conclusion, please: Are people really multitaskers? Should people be taught this ability? Why or why not? *Diving deeper to understand the original "Marshmallow Test" and its results: read this article, and view this video, recreating the test with kids. How much better are adults able to defer immediate gratification? 4] Summarizing to avoid plagiarism: Use your answers to the questions above when you write a one-paragraph summary (around 200 words in length) of this article. Watch this video about how to write a summary. Let's discuss summarizing for researched papers, by following this summarizing process. Homework to be turned in: Vocabulary, answers to reading questions, and one paragraph summarizing the multitasking article. Be sure to keep your comments separate from the summary of the Sparks article by use of a parenthetical citation. 5] Group/class discussion: What have been your experiences when multitasking? Homework: Two paragraphs above, due at the start of next class. Assignments for the article, “Eisenhower's Urgent/Important Principle: Using Time Effectively, not Just Efficiently"
Is there an answer to the problem of multi-tasking? YES! A time management system. Note: Here is a quadrants template that can help you to organize your time. Survey/skim the article on Eisenhower's time management system, looking for words you are not familiar with and write the words in the cues column of your Cornell notes. Questions: Write questions in the cues column while you survey, turning section headings, breakers, boldfaced or specialized text, and any new ideas you skim into questions you will answer after reading. Recite what you recall. 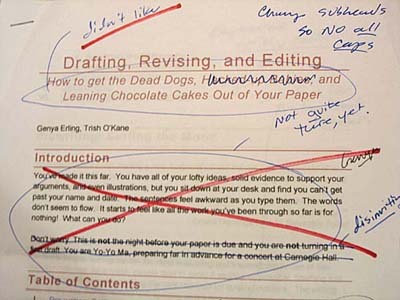 This is an important step in avoiding unintentional plagiarism. 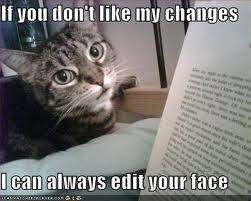 If you can put it in your own words and write it down while not reading the source, you won't plagiarize. wRite answers to the questions in your cues column, and define the vocabulary words in your cues column as you read, filling up the main notes section of your Cornell-formatted pages, but leave blank lines between them to add more notes later. Review by writing a page summary in the bottom section of the Cornell note page. 8] Write a summary of the article (about 200 words in length) using your Cornell notes, which are written in your own words if you followed the note-taking instructions, and therefore, they are ready to use, as is. 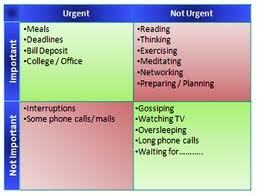 9] Make a time management matrix which charts your current time use and priorities. Homework: Reading notes, summary of the article, and your time management matrix. 10] Group/class discussion: Are you living and working in Quadrant II? What quadrant are you in the most? the least? should you be in? How can you get yourself into Q2 for college? Begin composing another paragraph, one which describes how you have been using your time and how you have reorganized it or adjusted it afer using Covey's time management matrix. Include in the paragraph (or in a separate paragraph if necessary) the specific time management techniques you will use in order to accomplish your goals, once you have prioritezed them using the matrix, from the J.M.U. Learning Toolbox site. 12] In class: Let's review the qualities of a good essay. Reconstructing "What I Have Lived For"
13] Writing about multitasking. And now, let's do this revising together. Use the following outline for an essay on multitasking, including your two article summaries and the two personal experience paragraphs you wrote. On the draft, we will add the works cited section and cite the summaries to complete the documentation of sources. Body paragraph 4 discusses how you are now using Covey's matrix to manage your time, in order to be successful, as well as the specific time management strategies from the J.M.U. Learning Toolbox site. Attributing your sources. If you are writing an informal academic essay, you need to acknowledge your sources of information now (the two articles), informally, in journalistic style. It might read like this: "According to Education Week staff writer Sarah Sparks, multitasking is . . ." or "The MindTools business training website describes time management methods, including Stephen Covey's quadrants system." In order for the essay to be a "formal" academic research(ed) essay , proper, we need to add parenthetical citations to the summary paragraphs and the works cited entry for both articles. Be sure to find the correct model to compare your Citation Machine outcome to. Citation Machine is a good tool, but it is just a tool. It is not infallible, though it is always at least close to correct. Even in formal academic writing, it is best to begin a summary paragraph with journalistic style attribution, and then end the summary, per se, with a parenthetical citation so as to hold the paragraph together as a unified summary. Homework: Finish revising the separate paragraphs into an essay, completing the introductory and concluding paragraphs. It is due at the start of the next class.